The groundbreaking ceremony for the Bapco Modernisation Programme (BMP), which represents a major expansion and upgrade of the Bapco refinery complex in the east of Bahrain on the Arabian Gulf coast, was held last week. Present at the event were senior officials of the oil and gas sector in the Kingdom of Bahrain, including Bahrain’s Oil Minister and chairman of the Board of Directors of the Bahrain Petroleum Company (Bapco) Shaikh Mohamed bin Khalifa bin Ahmed Al Khalifa. The Bapco Modernisation Program will allow the total refinery throughput to increase up to a maximum of 380 thousand barrels per day (MBPD). The refinery’s current production capacity is 267 MBPD. It also has storage facilities for approximately 14 million barrels of crude feedstock and products, a marketing terminal and a marine terminal for its petroleum products. Approximately one-sixth of the crude feedstock originates from the Bahrain Field, with the remainder being pumped from Saudi Arabia through the A/B Pipeline. 90% of Bapco’s refined products are exported via the Sitra marine terminal. Bapco awarded the USD4.2 billion contract for the refinery modernisation program to TechnipFMC, jointly with Samsung Engineering and Tecnicas Reunidas, in December 2017. The project will be executed on an engineering, procurement, construction and commissioning (EPCC) lump sum turnkey basis and is slated for completion in 2022. 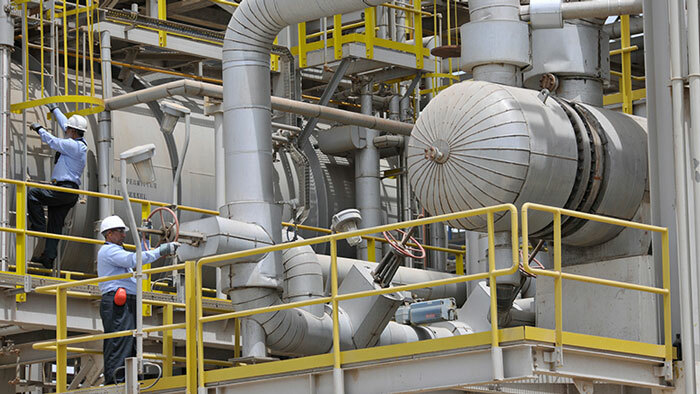 The contract includes the following main units: Residue Hydrocracking Unit, Hydrocracker Unit, Hydro Desulfurization Unit, Crude Distillation Unit, Vacuum Distillation Unit, Saturated Gas Plant, Hydrogen Production Unit, Hydrogen Recovery Unit, Sulphur Recovery Unit , Tail Gas Treatment Unit, Sour Water Stripper Unit, Amine Recovery Unit, Bulk Acid Gas Removal Unit, Sulphur Solidification Unit and Sulphur Handling Facilities.